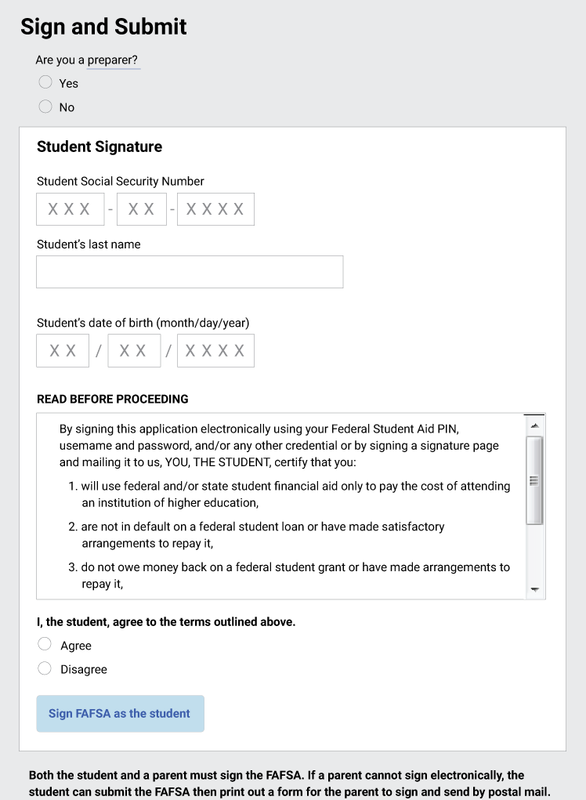 I’ve had to fill out the FAFSA many times, and it seems I forget every year that I have to choose the Parent 2 radio button to get the signature recognized. The error message only states that the username and password aren’t correct but doesn’t hint that maybe I’m not Parent 1. 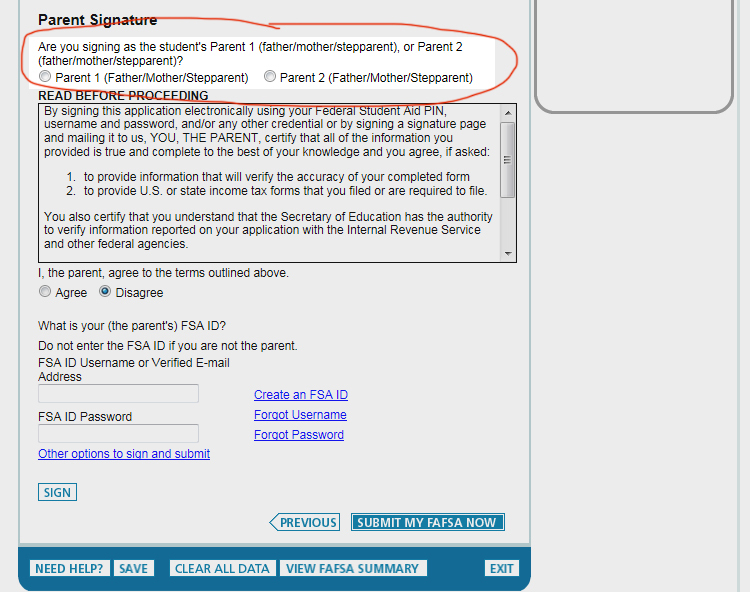 And the form doesn’t give a hint about why there is an option or how it determines which parent is 1 or 2. (If you’re wondering, it’s based on the tax form used for financial data). More white page and simplified coloring make the page easier to scan. Using boxes for numbers and dates makes it easier to tab or tap to the next field without considering how to format the entries. 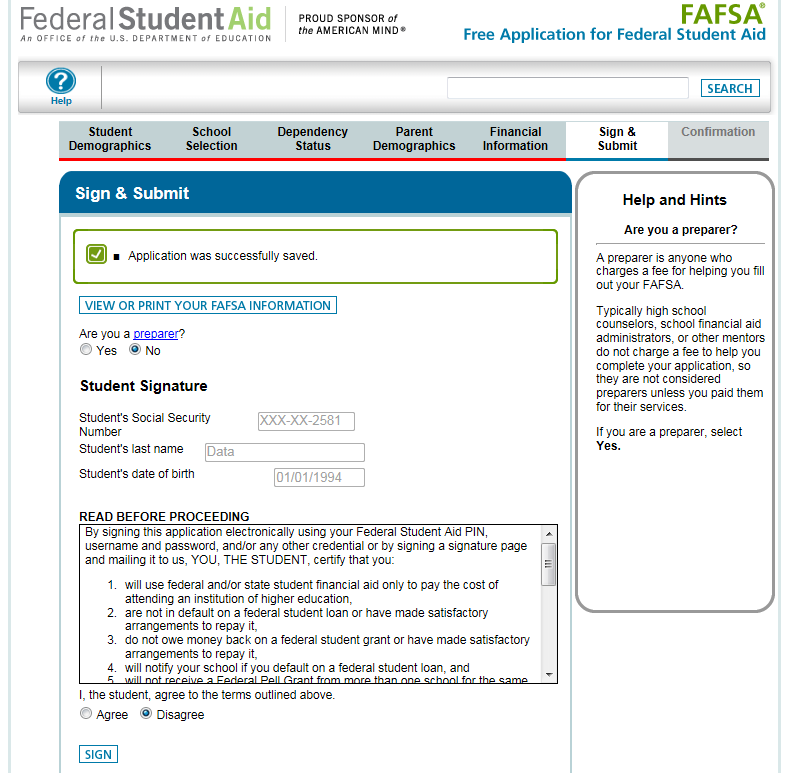 A big button makes it obvious that the goal here is for the student to sign the form. So I made some quick changes to the page. These suggestions don’t include changes to the page structure or consider how the form could be easier to navigate. I do have suggestions to rework it but would start by recommending getting rid of Parent 1 or 2 option entirely since the Dept. of Education would know based on the user id and password entered. 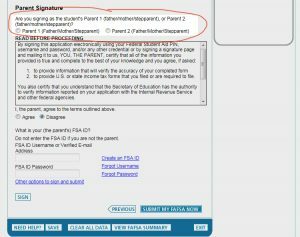 Content is added to clarify how to select the correct parent button, and that a student can sign and submit electronically even if the parent will print and mail their signature. Except for that text, the rest of the changes could be made in the css file to style elements better. More white space and simplified coloring make the page easier to scan. Using boxes for numbers and dates makes it easier to tab or tap to the next field without considering how to format the entries. 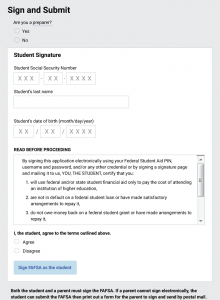 A big button makes it obvious that the goal here is for the student to sign the form.